North side of East/west wall alongside Hyde Gate showing plinth course now at ground level. 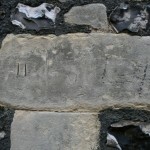 Taken from W end. 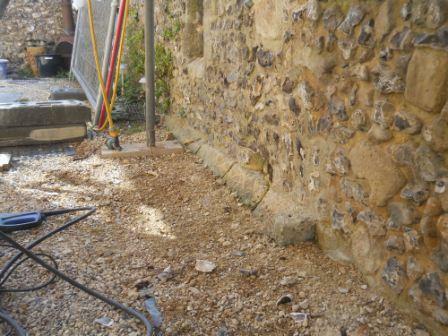 North side of East/west wall alongside Hyde Gate showing plinth course now at ground level. 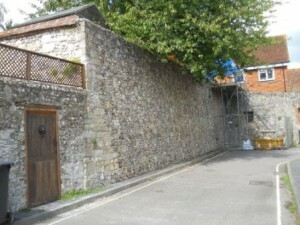 Taken from E end. 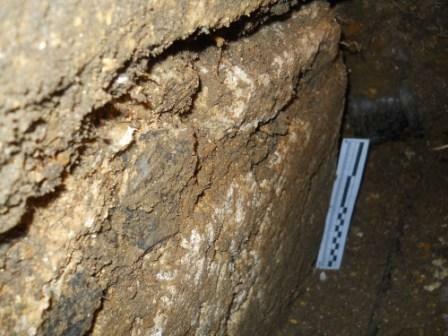 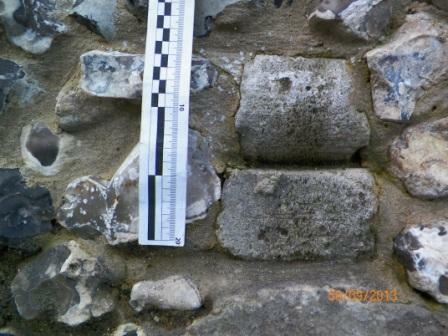 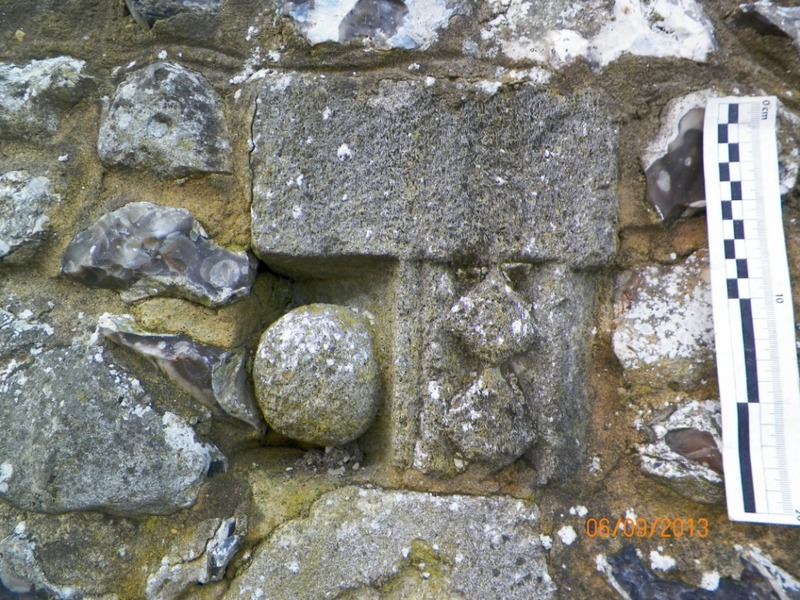 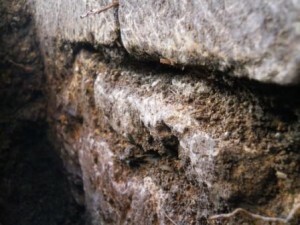 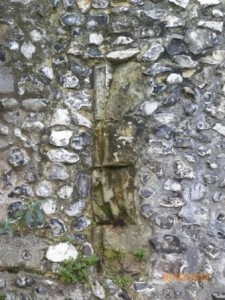 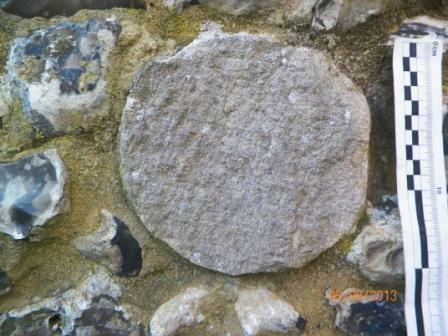 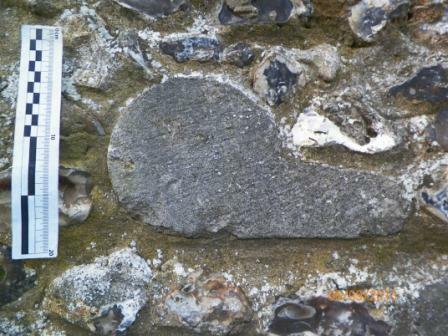 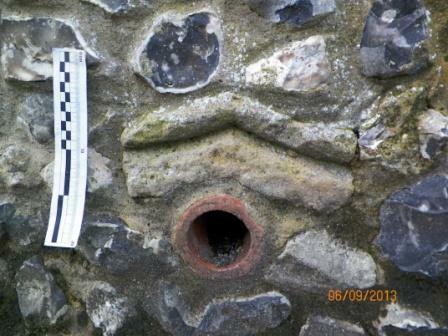 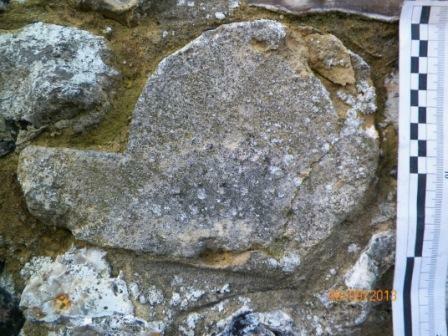 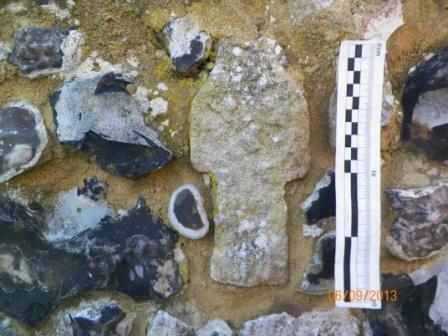 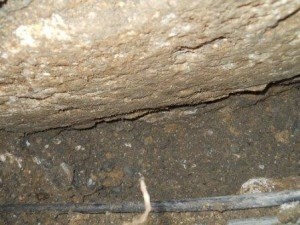 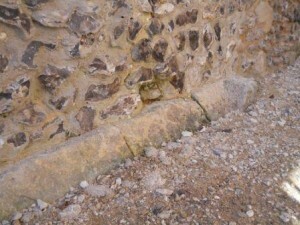 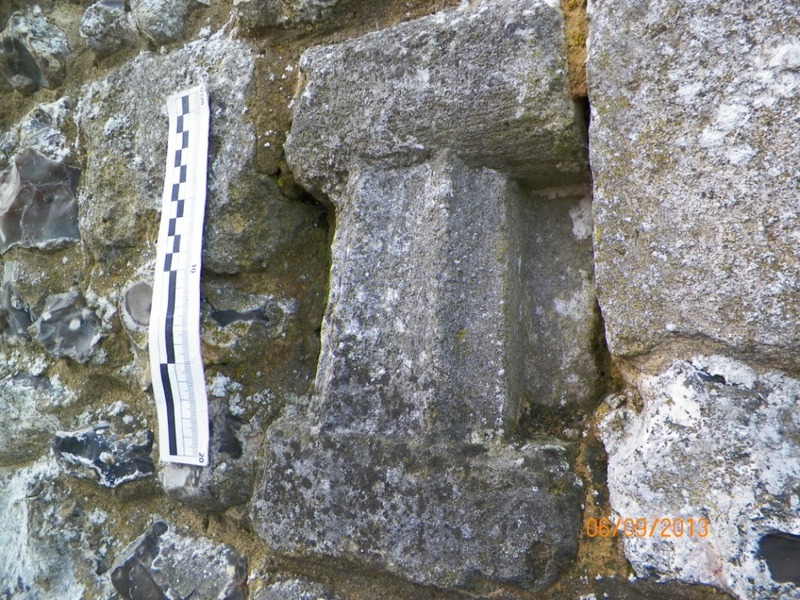 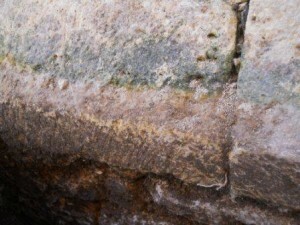 Close up of plinth in E/W wall showing markings from the mason’s axe used in shaping the plinth. 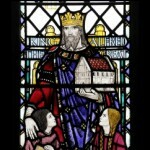 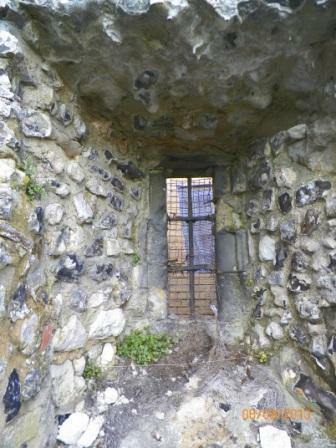 Window on N facing wall of Almoner’s Hall, seen from what was the inside of the building.